Momma4Life: Happy 4th of July from My Little Pony: Keys of Friendship on DVD 7/29! 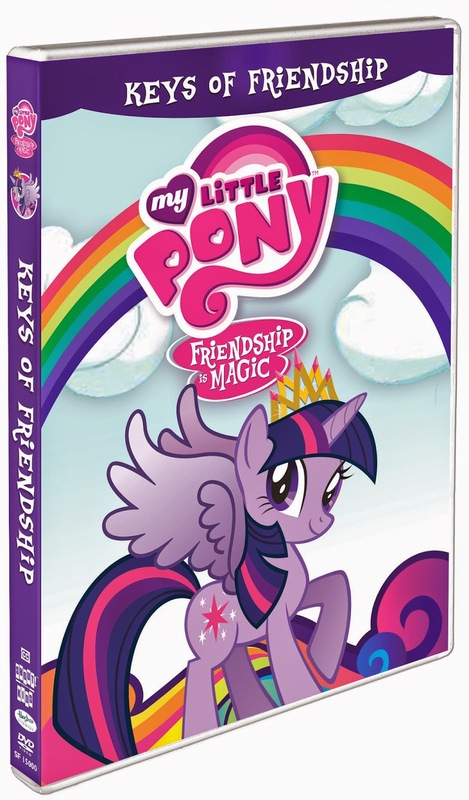 In anticipation of My Little Pony – Friendship is Magic: The Keys of Friendship on DVD 7/29 from Shout! Factory and Hasbro Studios, we have these fun Patriotic Pony Recipes Button for you to share with your readers for 4th of July! This DVD will be also have exclusive packaging that includes My Little Pony stickers from Walmart and a My Little Pony door hanger from Target!